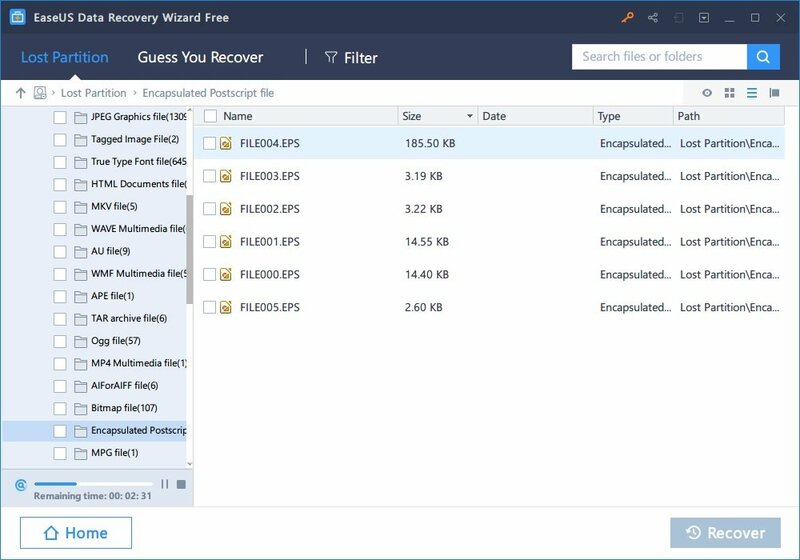 EaseUS Data Recovery Wizard is a free data recovery software that’s easy to use for any kind of user. Humans have taken more photos in the last decade than they’ve ever taken in the entire human history. If all these photos were physically stored they’d take a pile of space in everyone’s house. More often than not, many of those would be damaged in one way or the other. It’s the same case with physical documents and files. Storing things digitally is a lot more convenient and generally safer as well. Sometimes though, knowingly or by mistake, an important photo or file might get deleted. It’s actually a lot easier to delete something you didn’t want to delete than it is to ruin a physical photo or file. But unlike real life, your digital documents are not really deleted right away. Your computer is just not actively allocating any dedicated space to the deleted files. So unless something else is written over the deleted file, it can still be recovered with a data recovery tool like EaseUS Data Recovery Wizard. There are many data recovery software all over the internet these days and it’s difficult to figure out which one might work for you. EaseUS Data Recovery Wizard is among the best that you can get, due to its efficiency and ease of use. This file recovery software can even recover files from completely formatted disks. It’s also free to download and use, for the most part. When the app is launched, it automatically checks for updates if you’re connected to the internet so you won’t need to manually download updates. After that, you immediately are shown all the attached drives instead of other EaseUS tools you may be interested in. All a user has to do to get started is to select one of the drives that he/she wants to recover files from and click the Scan button. 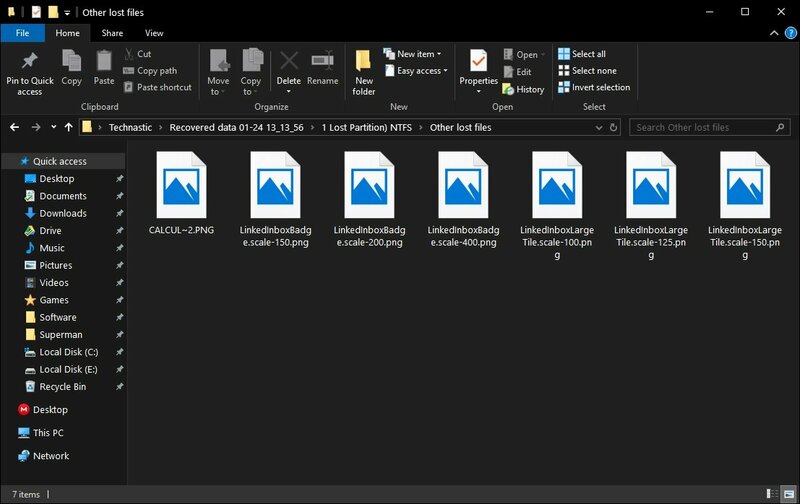 If you know specifically where the file you’re trying to find was located before being deleted, you can also click Select folder. Being more specific with your scans results in better and quicker results. Starting the scanning is as easy with EaseUS Data Recovery Wizard as it can be. Recovering files from a disk drive can be a lengthy process depending on the size of your storage medium. It’s even slower on hard drive disks compared to solid state drives. Regardless of what kind of storage your machine uses, nobody wants to sit and wait for a process to complete, especially when it can be done quicker. 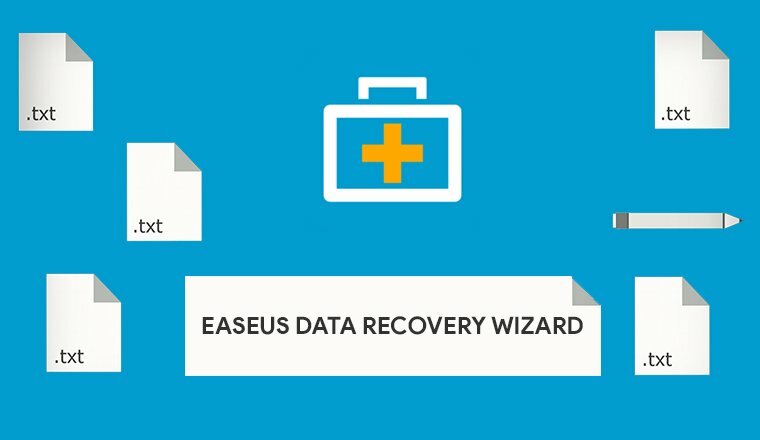 With EaseUS Data Recovery Wizard though, we were able to scan an entire 100GB HDD within a span of 10 to 15 minutes, give or take. The tool also allows users to you pause and resume a scan. The scanning can also be stopped halfway through if you’ve already found the files you were looking for. EaseUS Data Recovery Wizard can pull up some really old files as well. Even the deepest of scans sometimes cannot return the desired file. 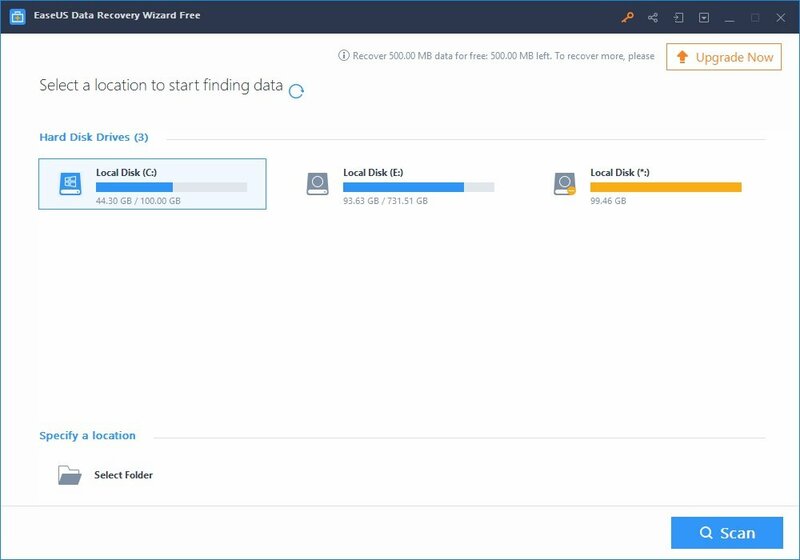 As you use your storage medium more and more it over-writes sectors of the drive that may have contained information about a previously deleted file. Once that’s done, no software on the market can bring them back. When the scan is complete, you can scroll through an extensive list of files that can be recovered. 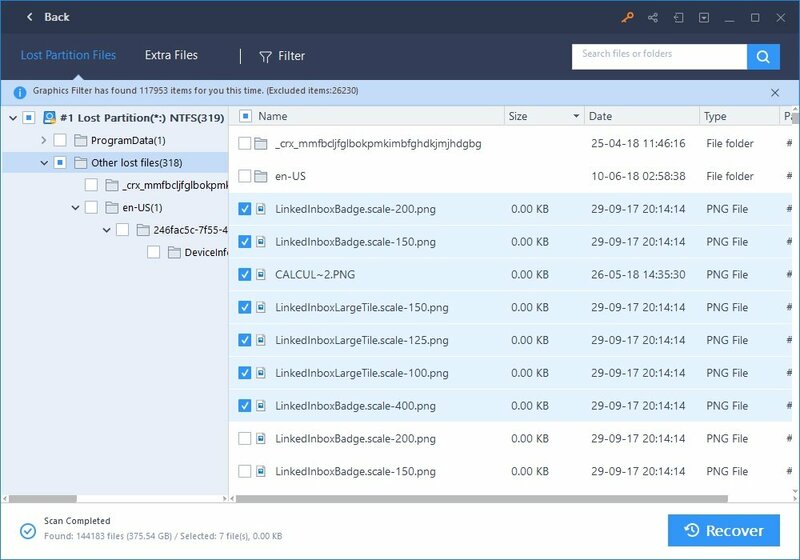 Finding the files you want is made easy with the use of filters. You can also directly search for the file if you remember the filename. Select the files you want to recover and click on the Recover button at the bottom. EaseUS will ask you to specify a location where you would like the lost files to be restored. The recovery can also take some time depending on the size, and the number of files to be recovered. That said, the recovery process with this data recovery software from EaseUS is also fairly fast.